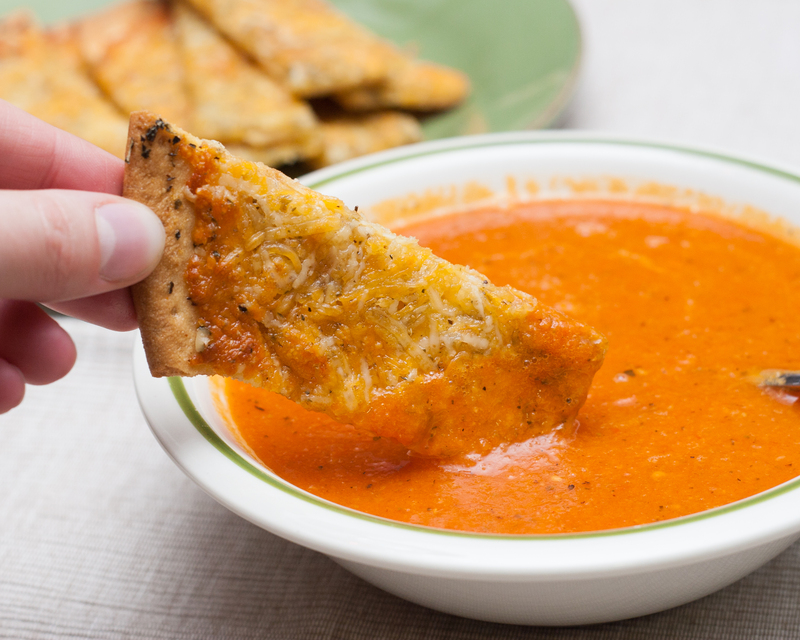 Usually with tomato soup I go for a grilled cheese with GF bread for dunking, but wanted to change it up this week since I make my from-scratch tomato soup so often (psst… it’s really, really easy). For Udi’s Eat, Drink, Be Merry campaign, they sent a box of goodies, including their pizza crust, which I had never tried, and thought would be perfect for some soup-dunkin’ cheesy garlic breadsticks. Jackpot! This, along with an easy soup, can be a great meal for December dinners and lunches when you’re so busy with everything “holiday,” but you still want to make something delicious! I do not have (human) children (just dogs), but I imagine these would be kid-approved too. Preheat oven to 375 degrees. 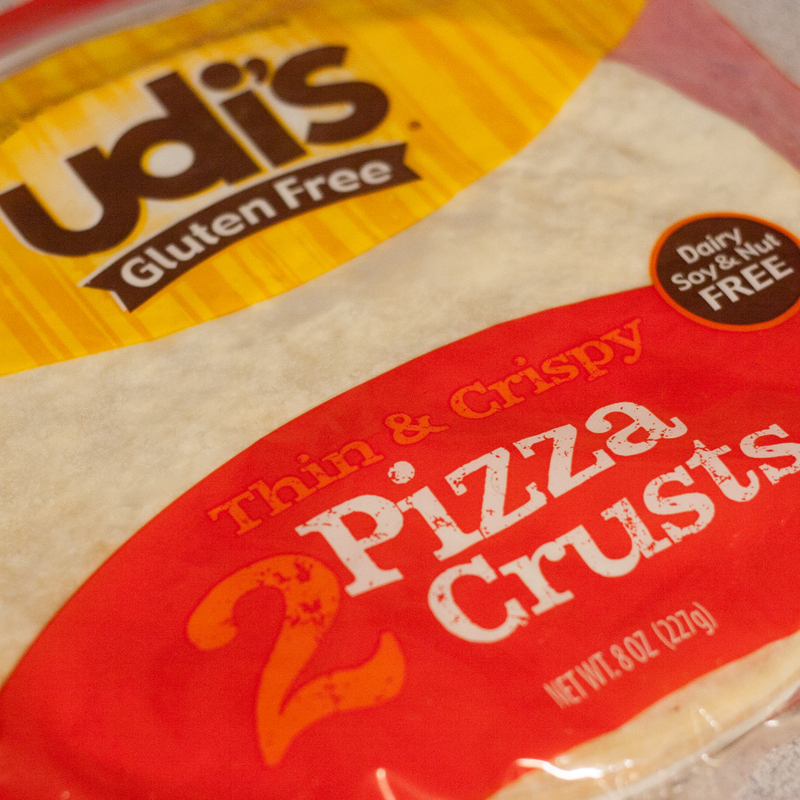 Place pizza crust on a cookie sheet or pizza pan. And be delicate with it when it’s un-baked…I managed to put a crack in it, though it didn’t matter at all for breadsticks. Mix olive oil, garlic, basil, salt & pepper in a bowl, and brush onto the crust. Mix all cheese and oregano in a bowl. Spread evenly over the pizza crust. 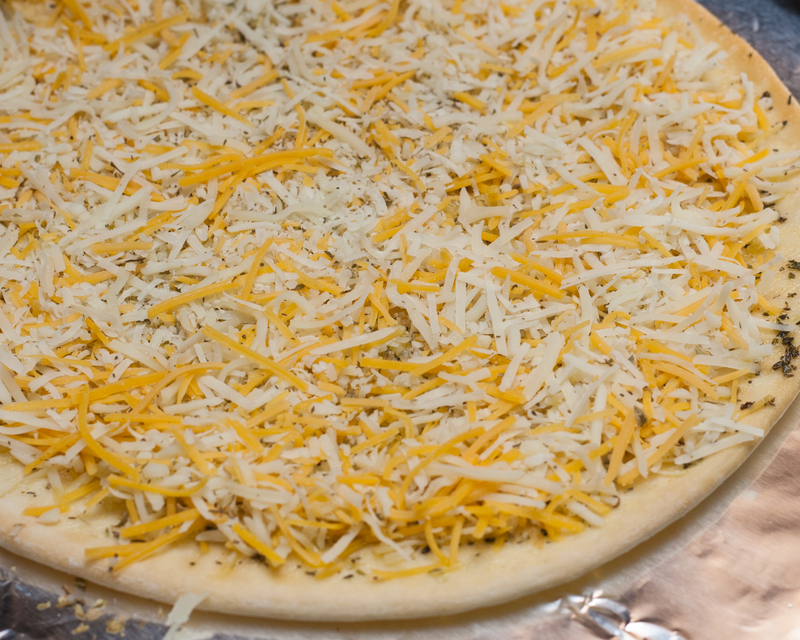 Bake 5-7 minutes (from fresh) or 10-13 minutes (from frozen), or until the cheese is melted and browned to your liking. See what I did? Say no to crack. 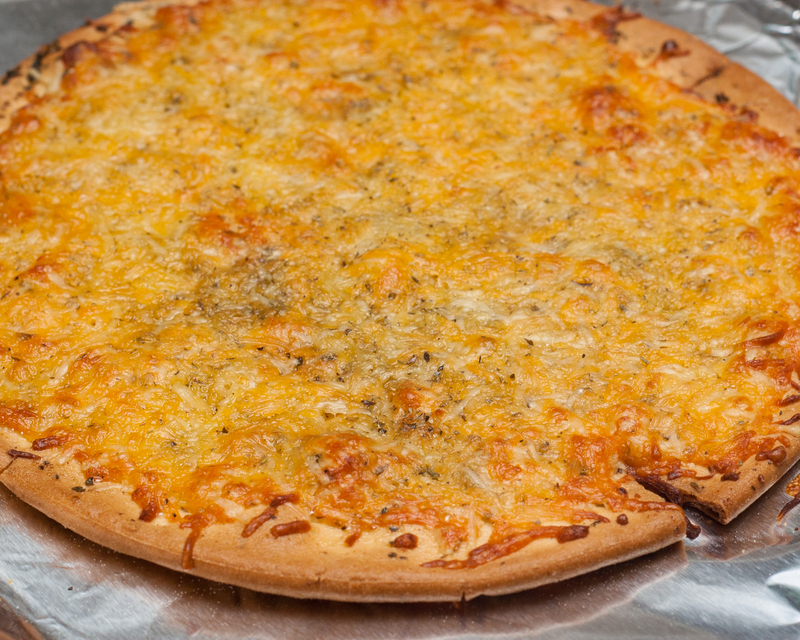 Transfer to a cutting board and slice into rectangles half the width of the pizza long by 1.5-2 inches wide. Dip in your favorite soup!! I was super impressed with how this crust stayed together and held up to dunking. 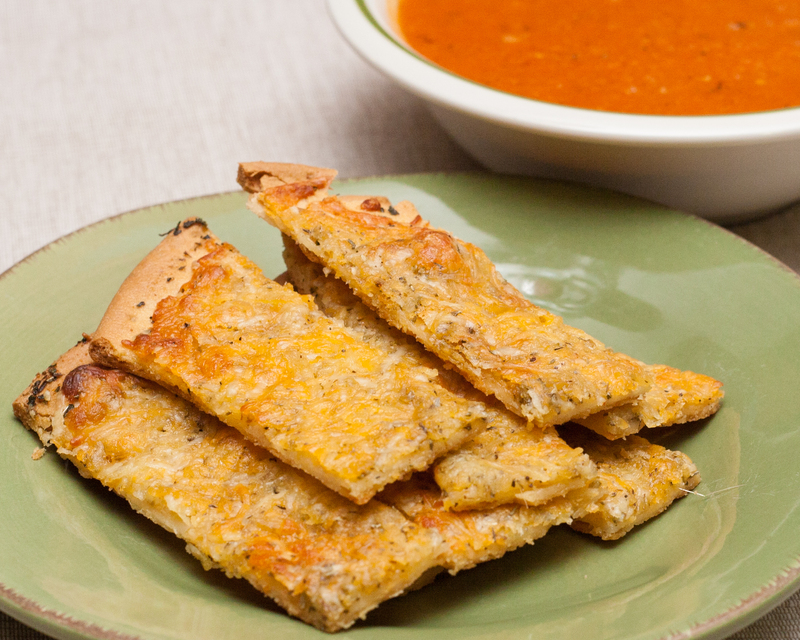 A lot of GF crusts can be crumbly or flimsy, but this made a great crispy, but cheesy breadstick.